Goa is a land of rich architectural heritage, which is known for Portuguese art & architecture. Property Hub excels in offering clients with Real Estate Architectural Services in Goa that truly reflects the beauty & culture of the city. 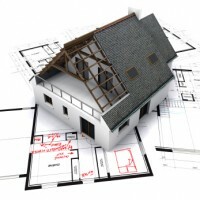 We have appointed a professional Architect Designer team of architecture designer in India who are dexterous in designing the architect of Home, offices and any kind of structures. The services offered by them result in construction of spotless structures that are a sight to watch. The architecture services offered by us are appreciated by the clients all over the world, owing to the rich expertise of the designers and timely completion. Our sole aim to attain clients satisfaction with our services and for this, we make sure that we stick to the budget laid down by the clients. Apart from this, assuring safety of others during the procedure is our primary concern.